An hourglass is one of the oldest portable devices used for measuring time. Traditionally, an hourglass is filled with sand that falls from one bulb of glass into another over exactly one hour of time. Susan Fraser, CEO of In the Light Urns, decided to take the concept of an hourglass and apply it as an urn. This unique spin on the traditional hour glass is a special way to remember your loved ones. Susan Fraser and her husband, Rick, started In the Light Urns 6 years after their oldest son passed away. They understand the pain of death in the family, but they saw the opportunity to come up with unique and touching ways to remember the departed. Now, they’re company works out of an old barn-themed building, and helps families all across the nation keep their loved ones remains in a special place. An hourglass urn uses the cremated remains of your loved one in the place of sand. The hourglass urns come in different sizes, so you can adequately store your loved ones ashes in a receptacle that is appropriately sized. 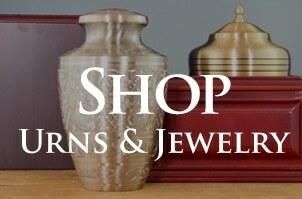 The urns feature handcrafted wood with engraving options to commemorate your loved one. Unlike an actually sand-based hour glass, hourglass urns are not reliable tools for measuring time. Ashes fall at an inconsistent rate and vary from person to person. However, according to In the Light Urns, the” hourglass is the ultimate symbol of the passage of time, and will become a family heirloom, passed down for generations.” It represents the sands of time and that time passes as life goes on. It is a perfect reminder of the time you had with the departed, and the time you have with your loved ones who are still around. In the Light Urns also specializes in making small hourglass jewelry that a miniscule deposit of remains can be placed into, as well as wooden keepsakes, rosary receptacles, candle holder urns, and teddy bear urns. Your pet’s ashes are also accepted as remains for any of these urns and keepsakes. 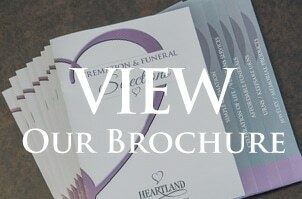 Heartland Cremation can help provide you with the guidance and planning you need for arranging the cremation of your loved one. Family-owned and operated, Heartland Cremation serves the Kansas City area, including the communities of Overland Park, Leawood, Prairie Village, Lenexa, and Olathe. Please contact us to discuss your cremation needs today.